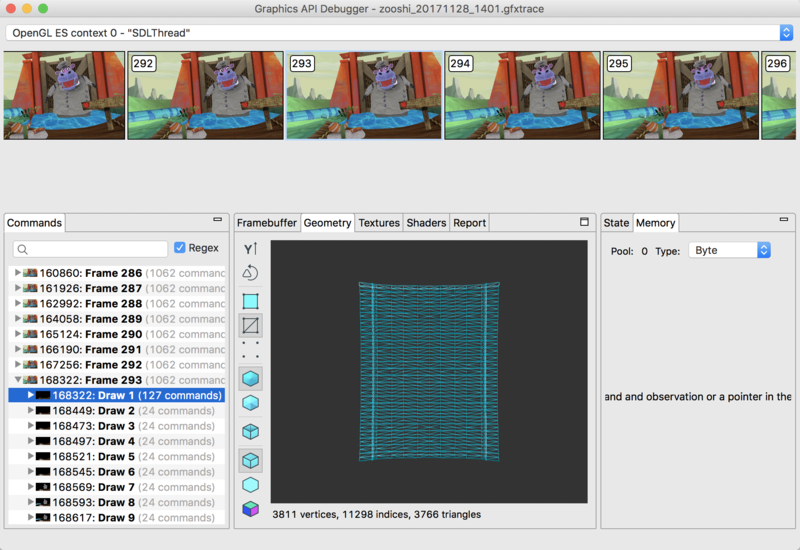 GAPID is a Graphics API Debugger. Use GAPID to diagnose GPU issues when developing graphical applications. Identify rendering issues, such as missing objects or object size and texture problems. 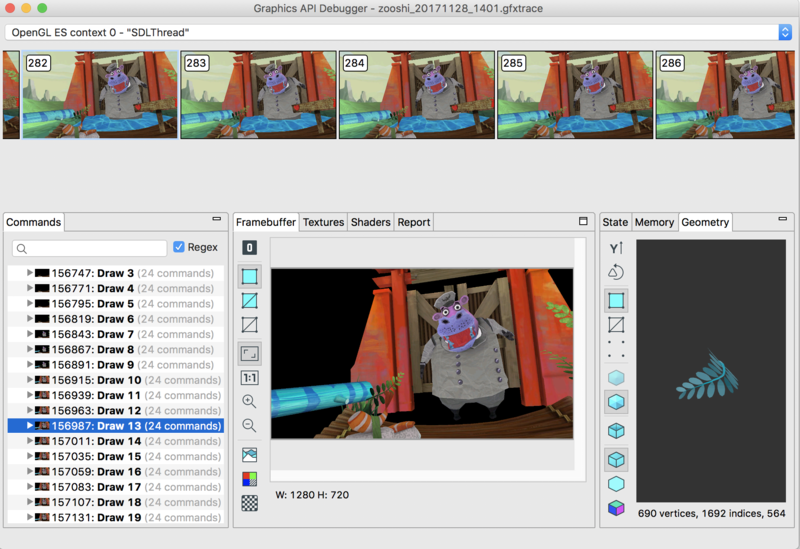 Inspect the resources loaded by the graphics API. Make adjustments to resources like shaders or commands and observe the results live. The GAPID interface lets you analyze resources and commands when investigating issues. Select a rendering context to see frames in a film-strip view. Review graphics API calls made by the application, grouped by frame and draw call or by user markers. Pinpoint the source of rendering errors by viewing the contents of the currently bound framebuffer. View the pre-transformed mesh of a selected draw call. Rotate or zoom in on the model. Change the rendering mode to investigate issues or export a model as an .obj file. See all of the texture resources created up to and including a selected command. Edit your shaders and see the results directly within GAPID. Review a log of issues, including incorrect API usage or problems that GAPID encounters while replaying your graphics trace. See the driver state immediately after executing a selected command. Download GAPID from the GAPID releases page on GitHub. Learn more about using GAPID. See GAPID on GitHub for details on cloning and building GAPID.